Elite Exteriors is a 3rd generation, family-owned business in New Berlin, Wisconsin. We are fully licensed, insured and bonded in the state of Wisconsin. Our team of professionals specialize in a wide variety of home improvement services including roofing, siding, windows & doors, insulation, decks, rough carpentry, and finish carpentry. Window Depot USA of Milwaukee is one of the fastest-growing replacement window companies, offering the highest quality replacement windows, doors, vinyl siding, roofing, bathrooms, gutter guards, attic insulation in Milwaukee, Wisconsin. Window Depot USA of Milwaukee outperform and outlast many other window products on the market. Our replacement windows and patio doors will add charm to your home and boost curb appeal. Window Depot USA of Milwaukee is the perfect choice for improving the look, comfort and efficiency of your own home. Our energy efficient replacement windows can also add value to a home that’s on the market. 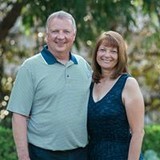 A Southeastern Wisconsin home improvement leader for over 35 years. Robidoux Brothers, LLC has more than 50,000 clients across the Metro area. For all your siding, roofing & window needs; The name to know is ROBIDOUX! Community Roofing & Restoration approaches every project like it's our first. 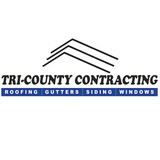 So whether we're roofing your home or siding it, you can expect the same level of care, quality, and craftsmanship that we put into our first job at Newberry Boulevard in 1975 and the thousands that came after it. 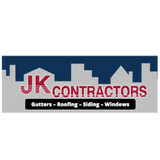 We provide residential and commercial roofing services of the highest quality and caliber. Our team is comprised of artisans and skilled craftsmen at the top of their trades. 123 Exteriors Inc. is a full service residential and commercial exterior restoration company with offices across the Midwest, including St. Louis, Chicago, Milwaukee, Columbus, Omaha, and Philadelphia. We work together with homeowners and insurance companies to replace exterior materials, including roofing, siding and/or gutters, that have been damaged by weather events. All of our long-term strategies and short-term goals are molded by a set of core values shared by each and every employee and independent contractor- Integrity, Honesty and Quality. The siding of your home is a hugely important factor when it comes to first impressions; a damaged or mismatched exterior can cast a negative light over a property’s entire aesthetic! If you need new siding installed, or your exterior is in need of repair, repainting or replacing, a Sussex, WI siding and exterior contractor can help you out. What types of siding services do Sussex exterior contractors provide? Wood siding needs more maintenance than less-expensive, low-maintenance vinyl siding, but with proper care it will outlast vinyl siding, which can fade and crack over time. Your Sussex, WI contractor might also suggest fiber cement siding, which is fire resistant and termite-proof and can come with a warranty of up to 50 years. Find siding and exterior contractors in Sussex, WI on Houzz. Narrow your search in the Professionals section to Sussex, WI siding and exterior contractors. Find out how long a Sussex, WI exterior remodeling contractor has been in business, view portfolios, read reviews and get contact information.